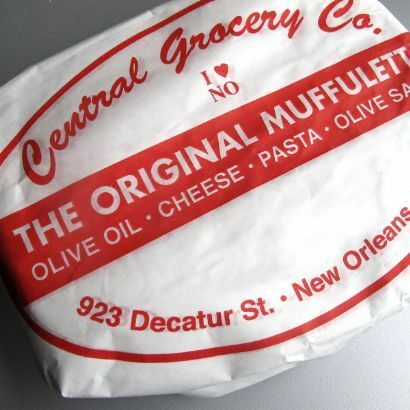 The muffuletta sandwich is uniquely New Orleans from start to finish and nobody does it better than the originators, Central Grocery. 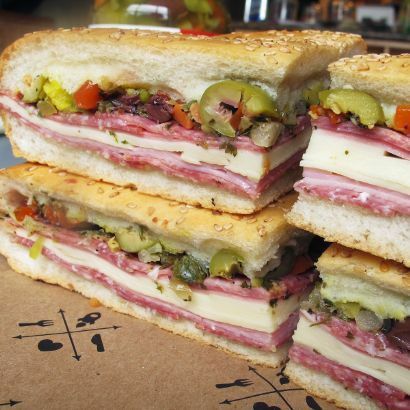 Each sandwich is made on a 9″ round Sicilian sesame loaf that stays crusty despite all it’s messy fillings. 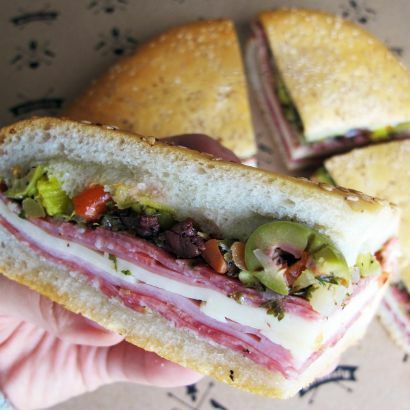 It’s stuffed with ham, salami, Provolone and a signature briny marinated olive salad filled with Kalamata and green olives and other tasty pickled veggies. Sandwiches arrive ready-to-eat in temperature controlled boxes. 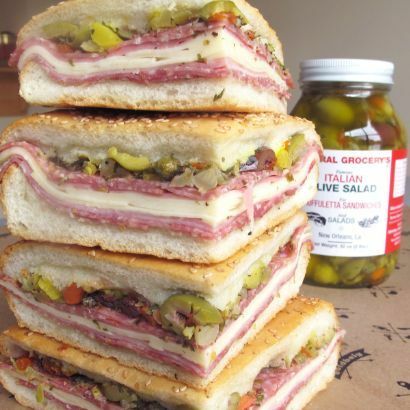 Upon arrival place them in the fridge and we recommend serving them within 3 days. We’re not the only ones who love them! Central Grocery has been featured on PBS, Thrillist, USA Today and Huffington Post among many other media outlets. 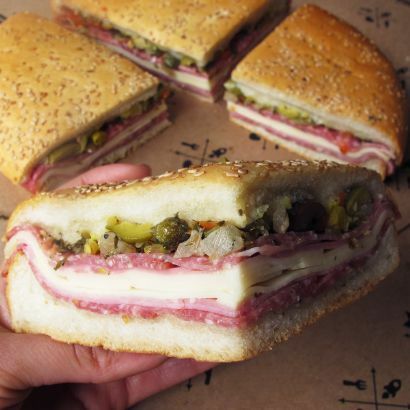 The Today Show named their muffuletta one of the five best sandwiches. Copyright © 2019 Central Grocery & Deli | Site design: Scott Ott Creative, Inc.